A gentle reminder to all – last one out, please lock the dinghy park gate. 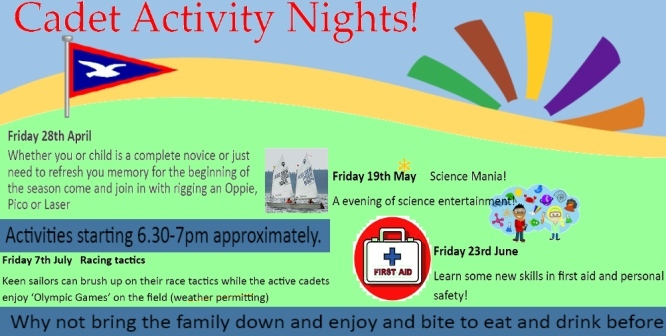 This Friday is the first Cadet night, we are starting the activities at 7pm, “Rigging and tuning boats”. There will be Oppie, Tera, Pico and Laser 4.7 rigging groups. Cadet week forms were published last week and the Food available this Friday will be the same menu, Dave will be serving from 17:30 – 19:00, trialling cadet week menu. To promote and test the menu we will be offering a limited number of £10 family vouchers family to test the menu and complete the feedback form. If you intend to come for food please comment on TBYC Facebook page posting to register interest and secure your voucher. Dave will use the Facebook comments indicating interest to gauge numbers for food on Friday. Lindsay will be posting on Facebook tonight. Don’t forget, Oppie Beach Club on Saturday at 12:30, weekly forecast is looking hopeful at about 12mph wind and 12degree temperatures. Next Pico race is next Sunday 30 April 2017.
please, email me (coming / not coming). Help will be given to those who ask for it. 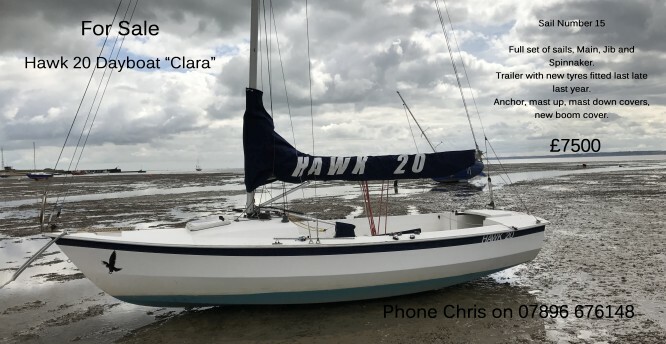 Sailors new to racing are welcome. No particular experience is needed, just the desire to join us. would like to encourage them to sail the Laser 4.7. Please, talk to me, if interested. Club Feva is available to sail for those, who would like to have the challenge. Please, email to [email protected] if you would like to be included in the cadet mailing list. “Please, keep me on the mailing list. I will update the mailing list accordingly. I will post further invitations on the club website. It is an option to join in any time (for club members). Your reply will be helpful to me. Everyone is welcome, including those, who just simply turn up on Sunday. First Pico race is this Sunday, start on the water at 10:00 am. We don’t often get a chance for all sailors to get together and have a chat about sailing with like minded people, so this Thursday evening will be that first opportunity. Meet some of the people you often just sail past, watch and chat about sailing, chat to others how you could improve yourself, talk about the plans for the year or just help us have more evenings like this. See you in the club Main Bar, Thursday evening. Due to a large number of cadets participating in Stage 2 sail training yesterday and the current water temperature there will be no Oppie Beach Club for new sailors or Cadets today. Conditions permitting, we will start Oppie Beach club on Saturday 29th April. The club boats are of course still available should you wish to sail today, just help yourself and remember to wash everything down and put it away after you. lub safety boats will be covering main racing, there will be no Cadet Rib patrolling the beach. If there are ever any problems with club Optimists please let me know or if its Pico related, tell Nick Cotgrove. Enjoy the beach and water today. The TBYC 2017 Sailing Instructions are published below. The possibility of claiming average points for club series racing, when undertaking a club duty, is confirmed.